The director of the city’s Housing Innovation Lab shares some of her team's anything-but-ordinary solutions for Boston’s biggest housing challenges. 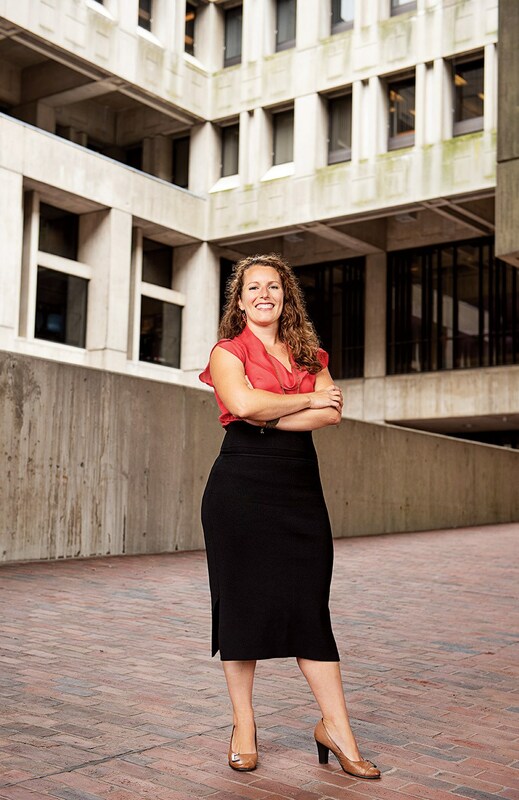 By Madeline Bilis·	 11/14/2018, 9:00 a.m.
Before Marcy Ostberg earned a master’s in urban and environmental policy and planning from Tufts, she learned how to think outside the box as a biology teacher at Boston Day and Evening Academy. These days, Ostberg still flexes her creative-thinking muscles, but on a much larger scale. As the director of the city’s recently founded Housing Innovation Lab, the New Hampshire native helps devise anything-but-ordinary solutions for Boston’s biggest housing challenges, from density to affordability. 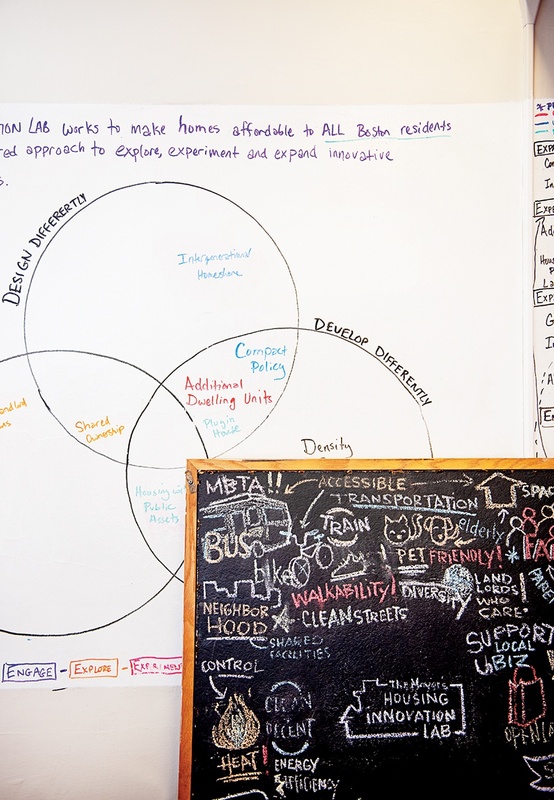 What exactly is the Housing Innovation Lab? Boston is an incredible place to live, as it turns out, and a lot of people want to live here. Our population is at a 50-year high and continuing to rise. This is incredible for our economic growth, but it puts tremendous pressure on our housing costs. With this in mind, Mayor Walsh created a very ambitious plan for new housing growth and established the Housing iLab in 2015 to think about creative ways to meet residents’ increasing needs. What we do is think about how we can develop, design, and fund differently. Funding for affordable housing from our federal government is continuing to decrease, and we need to think of strategies for creating more of it. Other industries have innovated, but development has happened the same way for a very long time. We need to think about the different types of materials and methods we can use to develop and then design. Plus, people don’t live how they used to. Families aren’t as large, the types of families are different, and we work differently. People work from their homes and use homes in a different way. Yet our homes, or many of them, are very old. So we need to think about designing them differently. At the Housing iLab, we take an experimental approach and try to talk to people and collaborate as much as we possibly can to influence our work. What are some of the solutions the lab is working on right now? Our “additional dwelling unit” program is meant to make it faster and easier for a homeowner to add a new unit to their home. We’re piloting this in one-, two-, and three-family homes in Mattapan, East Boston, and Jamaica Plain. It basically turns a three-family, for example, into a three-plus-family. It’s an incredible way to add density incrementally, so it’s just a unit here, a unit there, and it’s not noticeable to neighbors. It’s not like putting a large building in the middle of the neighborhood. We need to be sensitive about that—not changing the character of those neighborhoods—as we think about growth. It’s also great for people who want to stay in their homes but are struggling and could use that extra income, or who have an aging family member or a kid coming home who wants privacy. This is an affordable way to stay in the neighborhood. What do the pilot units look like? It’s really up to the homeowner—and it’s dependent on their home—so we have a lot of great stories. There’s a family that owns a triple-decker in East Boston and they have an aging parent. They wanted a unit for their parent while also having a space for themselves, so they’re making an additional dwelling unit, or ADU, in the basement for this person to live in. We also have new homeowners in Mattapan who are adding a unit to their single-family home. We’re mostly getting basement units so far. 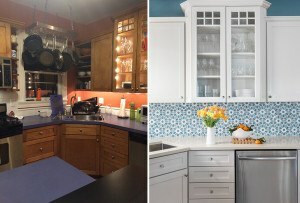 They’re typically smaller, with not as nice lighting as some people would like, but the tradeoff is to live in a neighborhood they want to be in, even if it’s a smaller space. It’s great because many of these units, because they’re in an attic or a basement or a weird-shaped space, are going to be called “naturally occurring affordable housing” that is not income-restricted, but just below market. We’ve had great success so far. Nearly 10 permits have been issued, so we’re really excited about the progress that we’re making. 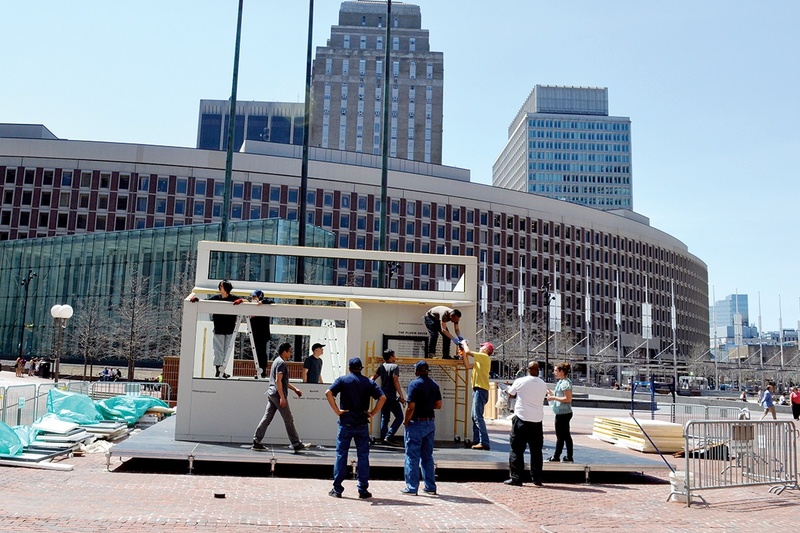 You exhibited a tiny house called the Plugin House on City Hall Plaza in May 2018. Is that an ADU? That’s a different concept, but it ties together. Right now, the additional dwelling unit program doesn’t alter the footprint of an existing home. 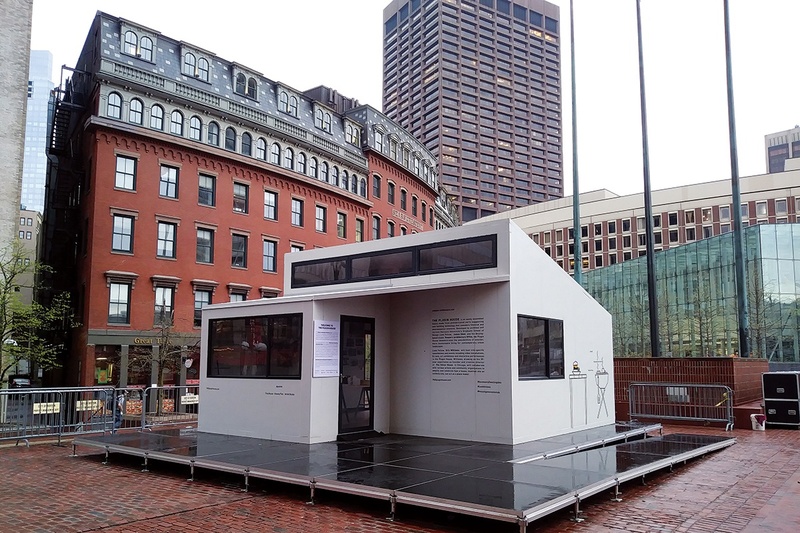 We have dreamed of backyard units, though: The Plugin House in City Hall Plaza was our prototype to start that conversation with the public. We worked with James Shen, a Loeb fellow at Harvard and an architect at the People’s Architecture Office. His Plugin House model is kind of like the IKEA of housing, where you as a homeowner could just build it yourself in your backyard with very minimal tools, and it wouldn’t take you that long. Really? How do you do it? It’s put together with a hex wrench. The walls are made of polyurethane, metal, and wood, and there’s a joint that you just turn with the hex wrench for the walls to come together. The walls are long panels, so you need some friends to hold them up while you’re doing it. And maybe some ladders for putting the roof on. But otherwise it goes together very quickly. What did people say when they stepped inside? Not everyone wants a tiny home in their backyard or in their neighborhood, but a lot of people were receptive to the idea, especially those who recognize how expensive it is to live in Boston right now. We had some funny uses. 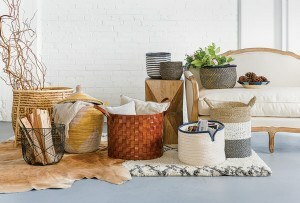 One person said, “This is perfect for my band’s practice room or an artist studio.” A lot of people were very interested in the sustainability of it. 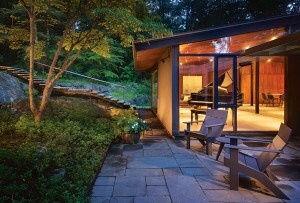 It’s a very energy-efficient home, and I think the accessibility was a key factor. We had older adults who were interested, as well as students trying to find an affordable place to live so they wouldn’t have to triple up in some of our family-style housing. 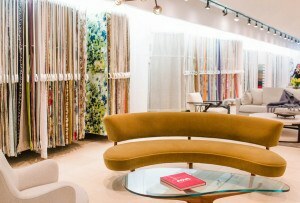 It also appealed to young families thinking about living in a smaller space until their family grows. Plus, a backyard home is an amazing opportunity for building a fully accessible unit, which makes aging-in-place easier. Phrases like “living small” and “compact living” are trendy right now. Do you think tiny houses, micro units, and the ADUs you’re carving out of existing homes are what’s going to increase housing supply in Boston? I think they are a way, but there isn’t one solution. Something that may work for one family won’t be a solution for another. Compact living can work for a lot of people, and there is an interest in that type of living, especially if it’s designed well. We brought a small unit to six different neighborhoods and talked to more than 2,000 people about whether they were interested in it. Some things we heard loud and clear were, “I could live [in a tiny house] if it was actually more affordable.” They would make that tradeoff if it’s in a place they want to be. The unit we brought around had a lot of height and light and storage, which are the things that would make a smaller space more effective. If you think of the tiny-house movement, that’s what it’s all about: a small space that doesn’t feel small. So we’re trying to build based on people’s feedback. 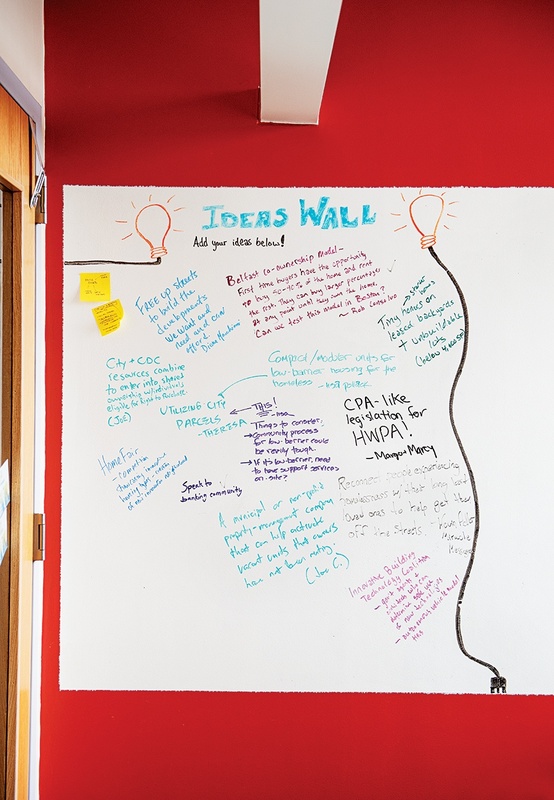 How can Bostonians share their ideas for fixing the housing crisis with you? I’m always interested in hearing ideas and thoughts and understanding people’s main points better. That’s where our projects come from, and so we have office hours. People can go to our website and sign up for them online. We hold office hours weekly, so I encourage people to reach out. We love to hear about them and their ideas on how to make Boston better.